Trend Alert: Paper Plants Are IN! As your best crafting bud, we’re here to give you the scoop on the latest trends in the crafting industry. One trend that’s been on the rise lately is paper plants—for your home, parties, and everything in between! Brittany Watson Jepsen of The House That Lars Built is basically the queen of paper plants. She does tons (and we mean TONS!) of paper plant and flower projects on her blog and YouTube channel. 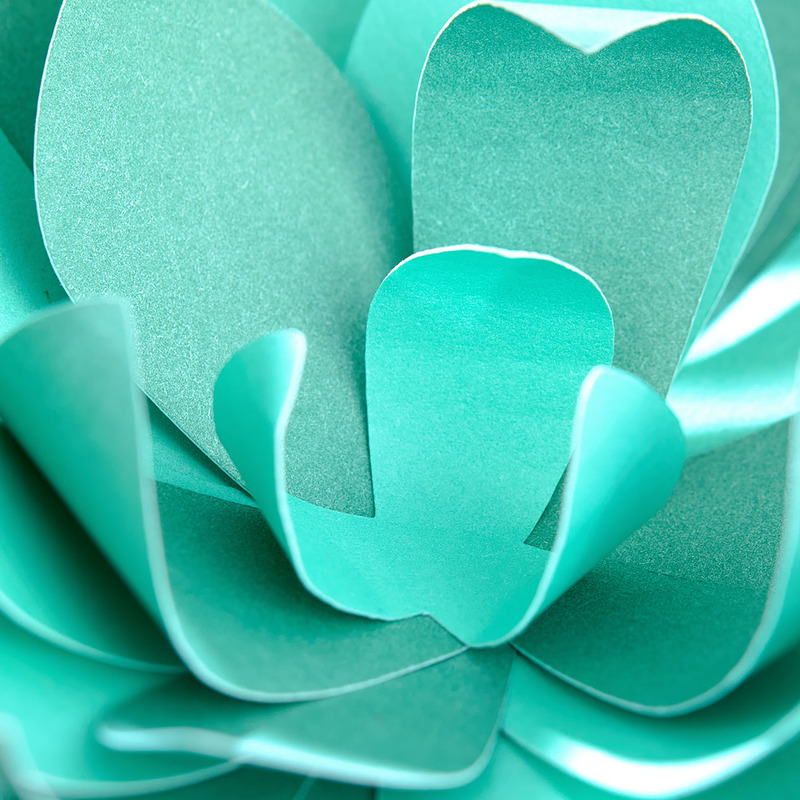 Here are 18 of her personal favorite paper plant tutorials. In a similar fashion, Brit + Co, a media company that celebrates women and creativity, rounded up their top 12 favorite paper plant projects from different bloggers. Look at these beauties! We cut the shapes using two of our Cricut® collections (see recipe at bottom of post), and then attached the finished leaves to wire with a hot glue gun. Add them to pots filled with paper crinkle, pebbles, etc, and voila! You’ve got three amazing plants that will live forever! 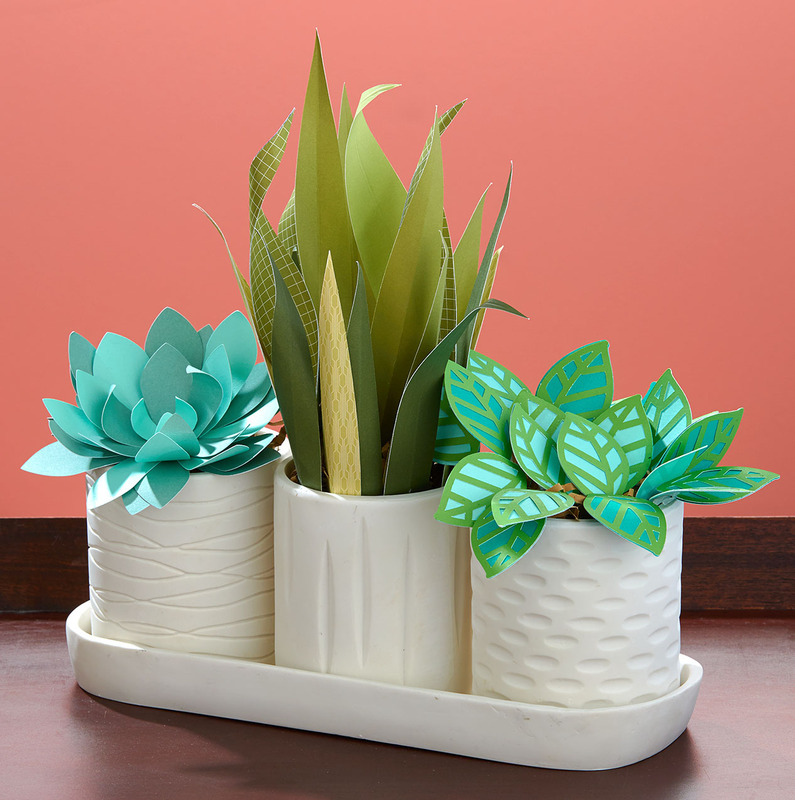 If making paper plants from scratch seems a bit overwhelming, or if you don’t own a Cricut® machine, we’ve got just the solution for you. 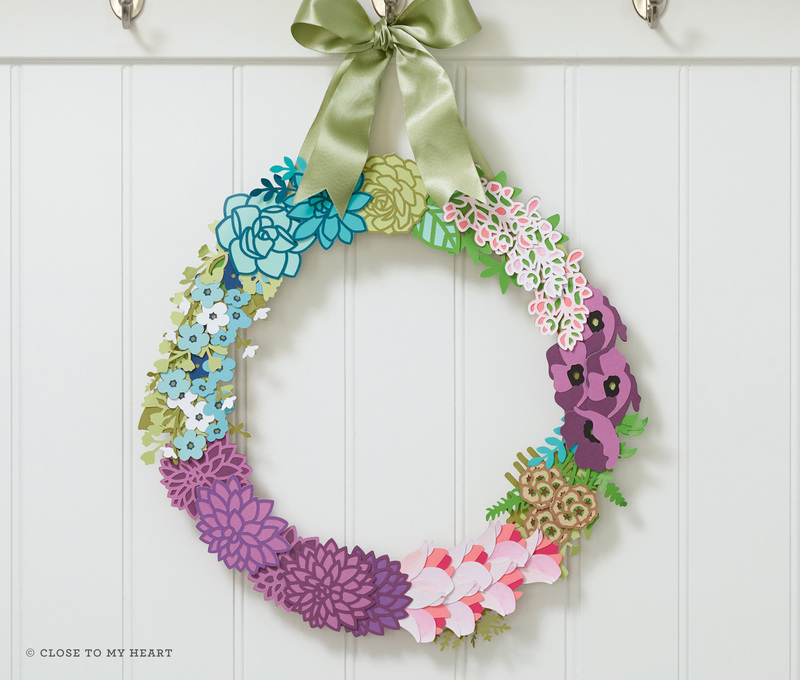 Try out our Welcome Home wreath kit, which comes with all the pieces pre-cut AND instructions with step-by-step photos. Did we mention it’s only $18.95 (US)? It can’t get much better than that—except that it does, because you can also get it FREE with a qualifying purchase! The kit’s only available until the end of January though, so if it’s calling your name, get it before it’s gone! 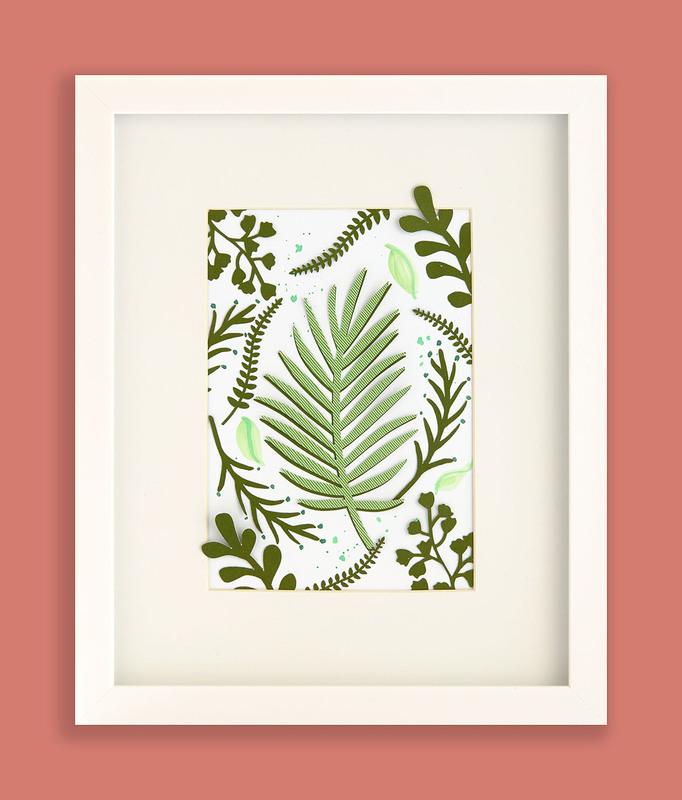 Another fun idea is to play around with arranging paper plants and leaves in picture frames. By slightly bending the leaves here, these plants seem to be growing out of the picture frame. What do you think of this trend? Yea or nay? Tell us in the comments below! LOVE, LOVE, LOVE the potted plants…LOVE the tip about the wire! Hi, Sharlee! 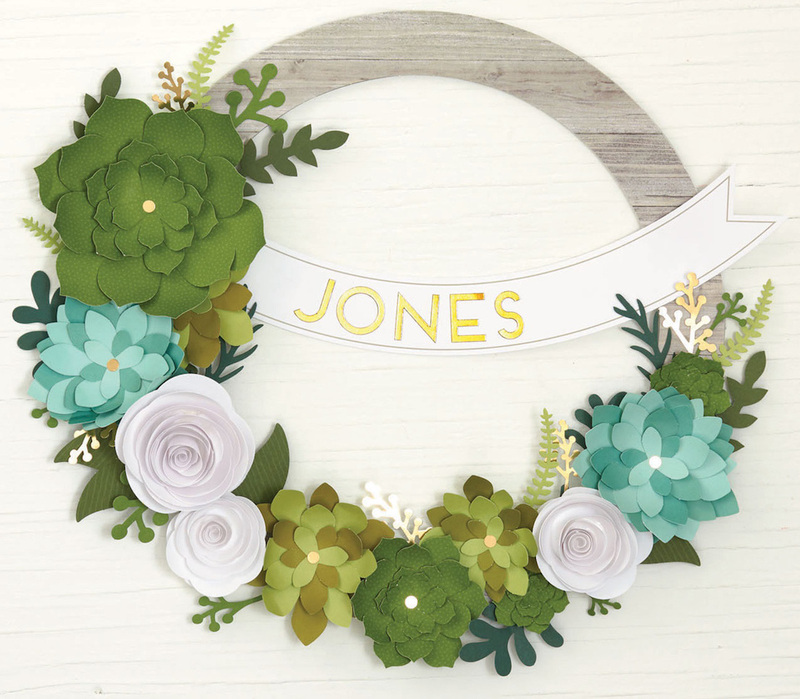 It was a basic crafting wreath base (wooden certainly work), and we’ve added all the supplies and Cricut® cuts for the wreath to the recipes above. 🙂 Hope that helps! I am definitely not a fan of the paper flowers/plants. For me, it would just be a dust collector and something for my little ones to rip apart if they got hold of them. Thus, for a short term decoration like for a holiday where it would only be up (a wreath for instance) for a couple of weeks, that would be ok. The framed one would also be ok as it wouldn’t get so dusty or broken in as it would be protected by glass. It would be an easy decoration to change out when you get tired of it or change your decor. In general, though, I say nay! This is so cool, I’m going to try the 3 potted plants. Can you tell me where the 3 pots and tray set was purchased? Love the Plant Trio very cute & thanks for the links to the other blogs great to see what other people are crafting up with paper. Help! I am working on the flowers and the Artistry, Spring shape is a duck! That can’t be right? Oh dear, you certainly don’t want a duck plant! 🙂 The duck is the main button for that page, but if you select “Shape” as well, you should get a raindrop. Our artist then elongated this shape in Cricut Design Space™ to get the long leaves for the snake plant. To do this, unlock the measurements and make the leaves these sizes: 8 ¼” x 1 ¼” (h x w), 7 ½” x 1″ (h x w). Hope that helps! What a lovely idea, you have chosen lovely shades too!